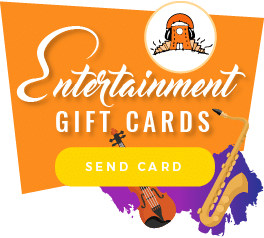 Looking to offer your loved one a surprise wedding entertainment act for their wedding? We’ve got the right solution for you! A few life events are more important than your loved one's wedding, whether you are looking to surprise the bride and groom or you are looking to complement their special day this list is for you. 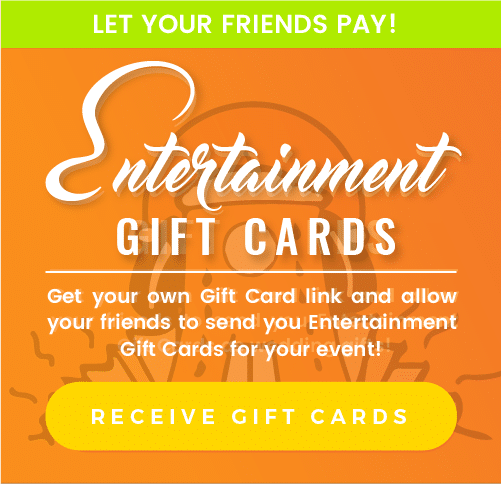 Unique entertainment ideas for weddings. Call us on on 01 2013660 to book. The Singing waiters come in various forms: Opera, Diva, Disney, ABBA… The possibilities are endless. If you are looking to add that extra something to the wedding party the singers will make sure to start the party on the right mood! They arrive before the guests to get ready, throughout the meal they play a part of the staff and before dessert is served they will break into song – and their voices are unforgettable! Want to WOW the guests? The hit machine Drummers offer a high impact dynamic performance mixed with carefully choreographed Irish Dancing. This percussion act is perfect to wake everyone up while the band is setting up and to bring the smokers/wanderers after the meal from outside. They are also a great act to have as a surprise during the drinks reception! The full brass band experienced in a pop up portable acoustic act. What more can I say? Perfection! 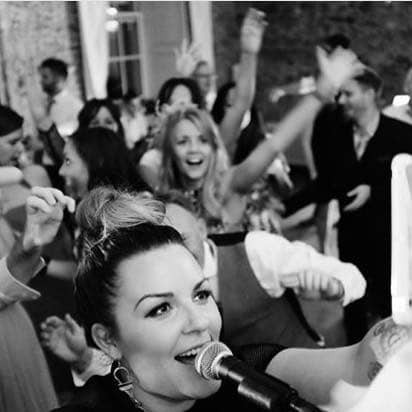 The Boombastic are a 6-piece band that can adjust to any wedding, from walking the bride up the aisle, welcoming the guests to drinks receptions or even setting the mood for main band after the meal. For the true lovers of Star Wars! This is the perfect entertainment to surprise the groom or bride (even the guests!). The Troopers will pop up to greet everyone, take selfies and make for some unforgettable moments! You can hire up to 4 troopers, a Vader and a wookie. Star Wars Weddings are here at last! Fun levels go through the roof as Lord Vader and his StormTroopers enter the room. Make your wedding unique + check out the fun video with Lydia and Mark at their Wedding last week , call now on + 353 1 201 3660. This Latin roaming band when acoustic is fully portable, offering a genuine Cuban sound to any drinks reception. Their playlist is to die for, promising to set the right mood to welcome your guests to the party. Havana is the music trio everyone wants at their wedding! For a trad experience this duo is the best option, they’ve been in the wedding music scene for two decades leaving no space for doubt that they are the music act for any irish drinks reception. Storehouse Duo repertoire includes all the irish trad favorites as well as some of the most well-known modern hits. The incredible Jazz/soul duo is compiled of Raimona’s incredible lyrical voice paired with Eammon’s mad skills on the jazz guitar. The Jazzy duo will create an intimate sophisticated feeling at the drinks reception, with a setup that doesn’t take much space and a cost that won’t spoil the budget. Kickbacks are an amazing party cover band well known in the wedding industry for their playing skills and vast repertoire. The band has gathered through their career some stellar reviews from happy brides and grooms. Check out Sarah’s intricate guitar solos on her youtube channel. Also, not be missed is their showcase every Tuesday at the Mezz (Temple bar). The 5 piece band offers the full shebang! 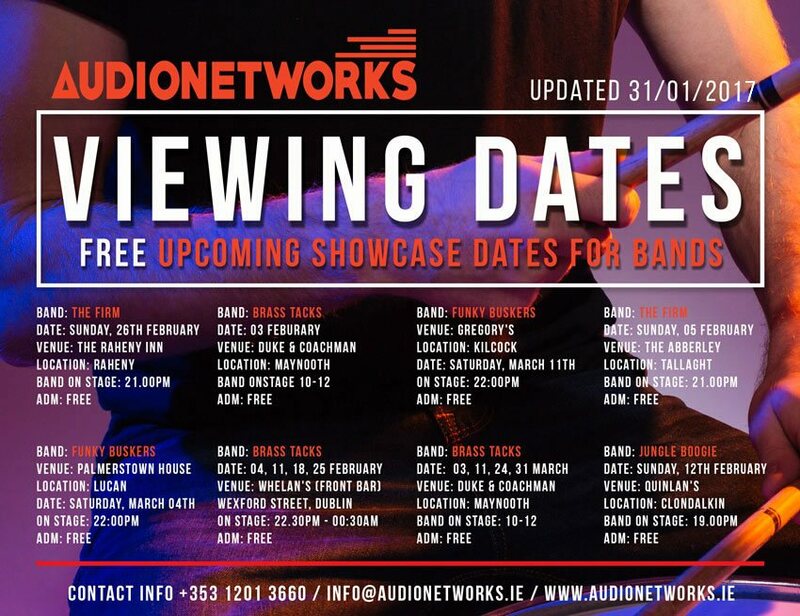 There’s no doubt The Firm is one of the most booked cover bands in Ireland, their 2019 calendar says it all. Laura’s amazing voice backed by the incredible professional musicians will make your wedding party a night to remember. No need for more introductions, just check their Facebook for the full resume! No one can read a crowd like Jungle Boogie, these experienced professionals have been in the wedding industry for long enough to know what your guests want throughout the night.  The band will go the extra mile to offer a performance tailored to your needs! If you can find something missing on their eclectic playlist they are happy to learn it for your special day. The versatile 3-piece band can adjust to any wedding, transforming into a 4 piece for bigger weddings or a 2 piece for drinks reception. But it doesn’t end here, Midnight Revellers playlist includes anything from trad to modern – check the video below with some of the wonderful reviews they’ve received over the years. Party at the back is a 3-piece genuine 80’s tribute cover band, with all that entails: from coordinated vocal harmonies, mad drums and skilful over the top guitar solos! These 3 professional musicians developed this project to perfection and they’ve been rocking weddings and events since. A 6 piece wedding band with both male and female vocals that won’t break the bank? Done! Twisted hits have prepared covers for all your favorite songs with a funky twist to it. Boogie all night long to this band energetic setlist. Daft punk tribute is a Live tribute DJ act. These two professional DJ’s have perfect the set over the past few years, to the point that they are one of the most booked tribute acts worldwide. When they are not traveling the globe they like to play at those special weddings. If your loved one is a Daft Punk fan this is most certainly the best choice. We all have heard of Sax and DJ Duo, maybe even Drummer and DJ but have you experienced a Drummer, DJ and Sax trio performance? If you don’t make sure to do so a soon as possible. This is the ultimate party entertainment when it comes to DJing with live music. No curfew, no PA required & two playlists to please everyone. Yes, it sounds too good to be true – but it’s absolutely real! Silent Disco is one of the most booked entertainment options for weddings in 2019. How it works? Well, you get all the required wireless headsets, plus two transmitters & a Dj to deliver, setup and play all your favorite songs. The guests can change playlists just by the click of a button on the headphones.